The JCB 535-95 Construction Loadall is a telehandler that’s designed to meet the unique demands of any site head-on. Compact dimensions, unrivalled manoeuvrability, unparalleled build quality and all-day operator comfort are just the beginning. 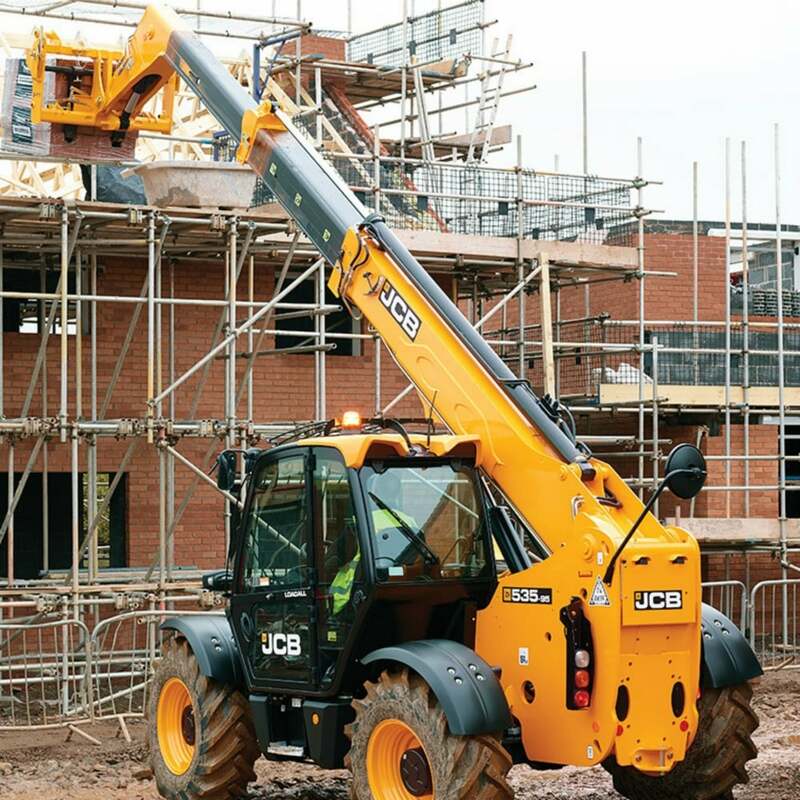 The JCB 535-95 is a full-sized 3-stage telescopic handler with a huge reach. It uses the JCB award-winning EcoMAX engine and sits on a chassis that’s designed for load-bearing and stability. The EcoMAX engine meets Tier 4i legislation without using a bulky DPF, which, in turn, brings benefits like great visibility, low running costs and more uptime. To increase productivity further, the machine also has a variable-speed cooling fan on 81kW engines, as well as instant steering selection between three modes.